British Prime Minister Theresa May gives a news conference after a cabinet meeting following yesterday's alternative Brexit options vote, outside Downing Street, London, Britain April 2, 2019. 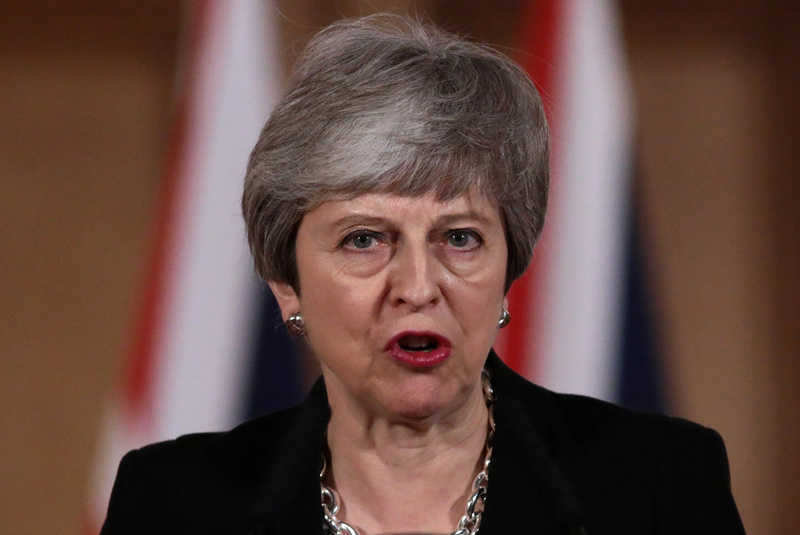 British Prime Minister Theresa May said on April 2 that she would seek a further delay to strike an agreement with opposition leader Jeremy Corbyn on how to leave the European Union. May said she wanted a withdrawal bill to be passed before May 22 so that the United Kingdom does not have to take part in European Parliament elections that month. The impasse has already delayed the country’s departure for at least two weeks beyond the planned exit date of March 29 to April 12. The pound gained 0.3 percent in early London trading to $1.3187, its highest since March 28.